Following a near-fatal accident, Mark Schluter is nursed by his reluctant sister. But when he emerges from his coma, Mark believes that this woman  who looks, acts, and sounds just like his sister  is really an identical impostor. As a famous neurologist investigates his condition, Mark tries to learn what really happened the night of his accident. On a winter night on a remote Nebraska road, 27-year-old Mark Schluter flips his truck in a near-fatal accident. His older sister Karin, his only near kin, returns reluctantly to their hometown to nurse Mark back from a traumatic head injury. But when he emerges from a protracted coma, Mark believes that this woman  who looks, acts, and sounds just like his sister  is really an identical impostor. Shattered by her brothers refusal to recognize her, Karin contacts the cognitive neurologist Gerald Weber, famous for his case histories describing the infinitely bizarre worlds of brain disorder. Weber recognizes Mark as a rare case of Capgras Syndrome, a doubling delusion, and eagerly investigates. What he discovers in Mark slowly undermines even his own sense of being. Meanwhile, Mark, armed only with a note left by an anonymous witness, attempts to learn what happened the night of his inexplicable accident. The truth of that evening will change the lives of all three beyond recognition. Set against the Platte Rivers massive spring migrations  one of the greatest spectacles in nature  The Echo Maker is a gripping mystery that explores the improvised human self and the even more precarious brain that splits us from and joins us to the rest of creation. Cranes keep landing as night falls. Ribbons of them roll down, slack against the sky. They float in from all compass points, in kettles of a dozen, dropping with the dusk. Scores of Grus canadensis settle on the thawing river. They gather on the island flats, grazing, beating their wings, trumpeting: the advance wave of a mass evacuation. More birds land by the minute, the air red with calls. A neck stretches long; legs drape behind. Wings curl forward, the length of a man. Spread like fingers, primaries tip the bird into the winds plane. The blood-red head bows and the wings sweep together, a cloaked priest giving benediction. Tail cups and belly buckles, surprised by the upsurge of ground. Legs kick out, their backward knees flapping like broken landing gear. Another bird plummets and stumbles forward, fighting for a spot in the packed staging ground along those few miles of water still clear and wide enough to pass as safe. The following author biography and list of questions about The Echo Maker are intended as resources to aid individual readers and book groups who would like to learn more about the author and this book. We hope that this guide will provide you a starting place for discussion, and suggest a variety of perspectives from which you might approach The Echo Maker. Every now and then a book comes along that is so head and shoulders above the mass of writing that it seems almost unfair to review it in the same issue as other books. The Echo Maker is one such book. Set against the Platte River's massive spring bird migrations, it's a gripping story that explores one of the greatest mysteries of all, the human brain, and how it makes us who we are, thus bearing similarities to Sebastian Faulks's Human Traces. (Reviewed by BookBrowse Review Team). Powers’s smooth coincidences and cute patter can be unconvincing and leaden, and he has a tendency to lapse into distracting repetitions. Yet his philosophical musings have the energy of a thriller, and he gives lyrical, haunting life to the landscape of the Great Plains. Powers accomplishes something magnificent, no facile conflation of personal catastrophe with national calamity, but a lovely essay on perseverance in all its forms. 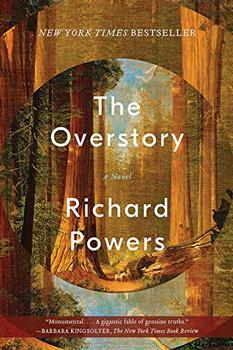 Richard Powers's new novel—a kind of neuro-cosmological adventure—is an exhilarating narrative feat. The ease with which the author controls his frequently complex material is sometimes as thrilling to watch as the unfolding of the story itself. Powers bounces back and forth through Mark's rambling thoughts, Weber's neurological theories, Karin's insecurities, and wonderfully poetic details of the cranes on the Platte River. Starred Review. Powers...masterfully charts the shifting dynamics of Karin's and Mark's relationship, and his prose—powerful, but not overbearing—brings a sorrowful energy to every page. Richard Powers wrote most of The Echo Maker on a tablet PC using voice recognition software. He says, "Ive always wanted the freedom to be completely disembodied when Im writing, to feel as if Im in a pure compositional state. Typing is a highly unnatural activity, and your writing style ends up reflecting the cognitive shackles." According to an article in the Guardian (UK), before he was married Powers spent a year not speaking to anyone - at the end of which he'd written a 400-page novel but, as he puts it, had become "a bit weird".